Two Day Town is a Leave-No-Trace family oriented camping and community music event held each year during the last full weekend of April at Lake Del Valle Regional Park, with an emphasis on East Bay social family ties. This beautiful park, nestled in the hills South of Livermore, abuts the Ohlone Wilderness and provides a serene environment for getting away from the hustle of everyday life. We offer three days of live-on-stage local music with live-mixed professional quality sound, uncountable impromptu jam sessions among the hundreds of musicians, tent & RV camping either on the Two Day Town site or in the adjacent regional park campground, a staffed creative activity area for kids, and catered food service for those that don’t want to prepare their own meals. 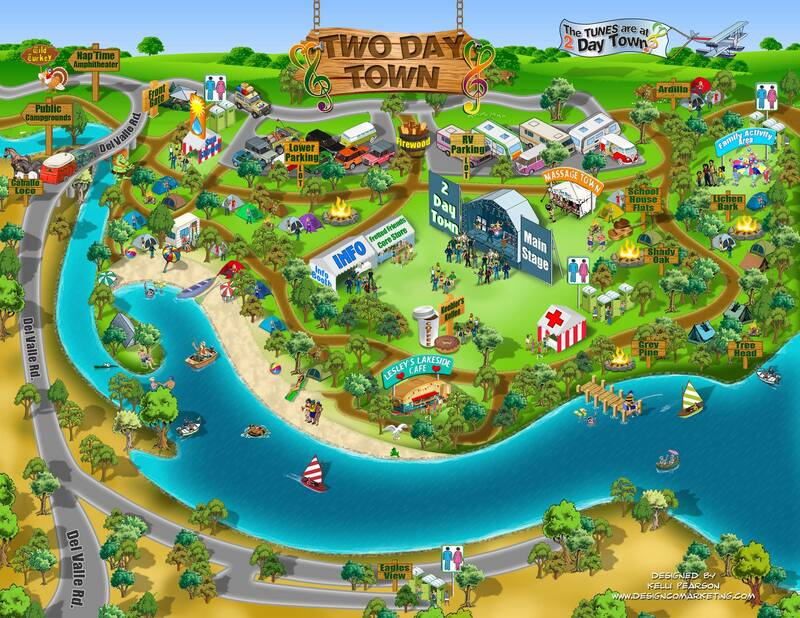 Two Day Town provides an opportunity for people to strengthen long term relationships in an inviting setting, and to simply relax and enjoy the people, music and activities. As a group, our purpose is to take responsibility for creating a better world in our little space, one weekend at a time. We maintain a Leave-No-Trace philosophy and we leave the park in better condition than we find it.